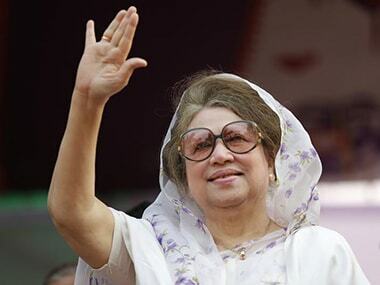 Dhaka: A Bangladesh court on Tuesday ordered the arrest of former prime minister Khaleda Zia in connection with bomb attacks on a bus during an anti-government agitation in 2015 that killed eight persons, a police official said. Judge Joynab Begum of the Comilla district court accepted the charge sheet filed by the police in the case and issued the arrest warrant, the official said. The Bangladesh Nationalist Party (BNP), led by 72-year-old Zia, had boycotted the 2014 general elections which were held under the Awami League government. 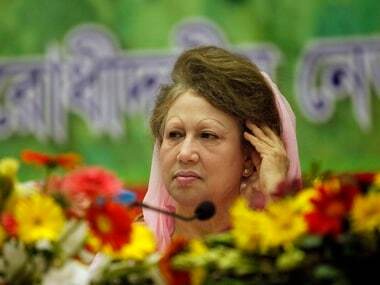 The BNP had emerged as the main Opposition party outside parliament. The BNP, along with 20 alliance partners, had given a call for a nationwide transport blockade in 2015 in protest against the first anniversary of the polls. Eight passengers were killed after protesters hurled petrol bombs on a bus in the central Comilla district during the agitation. "The judge issued the arrest warrant after accepting the charge sheet submitted by police," the official told PTI over the telephone. The former prime minister is also facing a number of graft cases and a sedition charge for her "slanderous" remarks two years ago when she "expressed doubts" about the casualty figures of 1971 Liberation War in which officially three million people were killed, during the nine-month-long war against Pakistan. Zia also faces similar charges in different courts for spearheading a protracted violent campaign three years ago in which over 125 people lost their lives, mostly in arson attacks on buses and trucks. 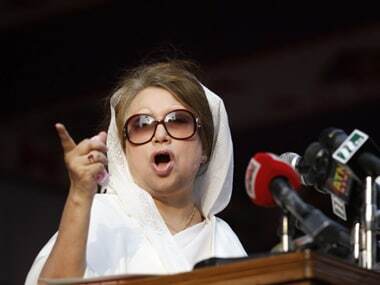 Tuesday's court order came a day after prosecutors demanded death sentence for the BNP leader and Zia's son Tarique Rahman and 48 others for their alleged involvement in two cases of murder and blasts. Rehman, the BNP's senior vice president who lives in exile in London, is accused of planning an attack in 2004 in which more than 10 grenades were thrown in a rally organised by Prime Minister Sheikh Hasina's Awami League party when she was in Opposition and Zia was in power. Hasina, who sustained permanent hearing impairment, had a narrow escape in the attack that killed 24 people and injured 300 others.